Lots of grape, raspberry and blackberry character on the nose and palate. Medium body and a crisp finish. Drink now. A pretty Brunello that shows well from the outset on the nose with blackcurrants, wild strawberries, asphalt, dust and hints of herbs. Full-bodied but very refined in terms of the velvety texture and mouth-coating tannins. Drink in 2020. 13/11/2017 - JAMES SUCKLING: 95/100 PER IL BRUNELLO RISERVA 2011 VILLA POGGIO SALVI! Red roses and strawberries come to the fore on the nose here as well as cedar, dust and treacle. 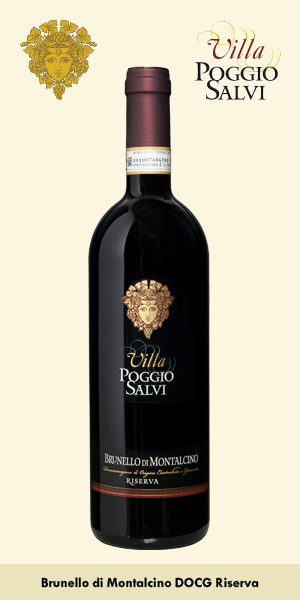 Full body, round tannins, layers upon layers of refined fruit and a fresh, structured finish. Hard to resist now but drink in 2020. Best ever from here. 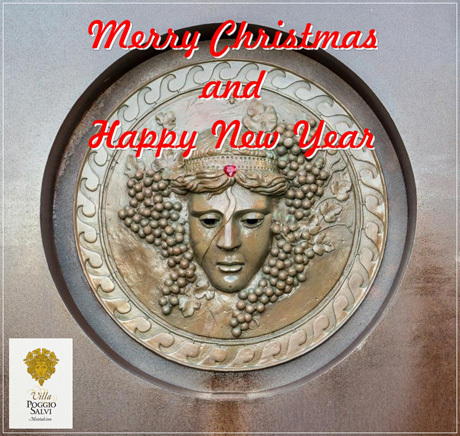 Villa Poggio Salvi sarà presente al prossimo Merano Wine Festival 2017, che si terrà presso la Kurhaus di C.so Libertà 33, Merano (BZ). Il tavolo Villa Poggio Salvi sarà situato nella Sala Rotunde – Toscana alla posizione 134. I vini in degustazione saranno: Brunello Pomona 2013/2012/2011, Brunello Riserva 2011 e per le annate storiche del lunedì il Brunello 1994. Per il terzo anno consecutivo saranno i vini di Villa Poggio Salvi ad essere presenti nei momenti del dietro le quinte di X Factor, il prestigioso talent prodotto da FremantleMedia Italia in onda su Sky Uno HD tutti i giovedì. Il prestigioso magazine International Wine Report ha assegnato il punteggio di 92/100 all’IGT Toscana Merlot Lavischio 2015 di Villa Poggio Salvi. The 2015 ‘Lavischio’ Toscana Rosso is made from 100% Merlot and displays an impresive dark, inky color followed by aromas of ripe blackberries, dark cherries, spices, leather, tobacco, floral and hints of licorice, which all slowly begin to emerge from the glass. Medium-full bodied, structured and well defined, this Rosso is framed around juicy dark fruits and lovely underlying acidity keeping it fresh and inviting through the finish. This is a gorgeous Rosso which is drinking excellent right now. A flavorful red with berry and tea undertones. Hints of shells. Medium to full body. Chewy tannins. Drink now. Mid Ruby with orange tinges. Fine and brooding nose that is yet to unfold. Elegant, supple fruit palate with bags of coating tannins. Stll very closed and tannic for the moment and with a brooding finish. Il prestigioso magazine WINE ENTHUSIAST ha assegnato un punteggio di 92/100 al Brunello Pomona 2012 di Villa Poggio Salvi. Wild red berry, dark baking spice, tilled earth and balsamic aromas slowly emerge in the glass. The round, juicy palate delivers ripe black cherry, spiced plum, nutmeg and star anise framed in velvety, enveloping tannins. A tobacco note closes the fininish. Drink 2018–2025 (K.O. ).